BURTON — Back to the Bricks and GM proudly hosted the fourth annual winter indoor car show, Chrome & Ice, which took place February 8, 9, 10 at the Dort Federal Credit Union Event Center. The event was the largest yet, with more than 6,000 attendees and was completely filled, with every available spot in the lobby, mezzanine, hallways, and both arenas booked with more than 125 classic cars. Chrome & Ice, which keeps car enthusiasts revved up during the cold months, features cars, vendors and entertainment for the whole family. 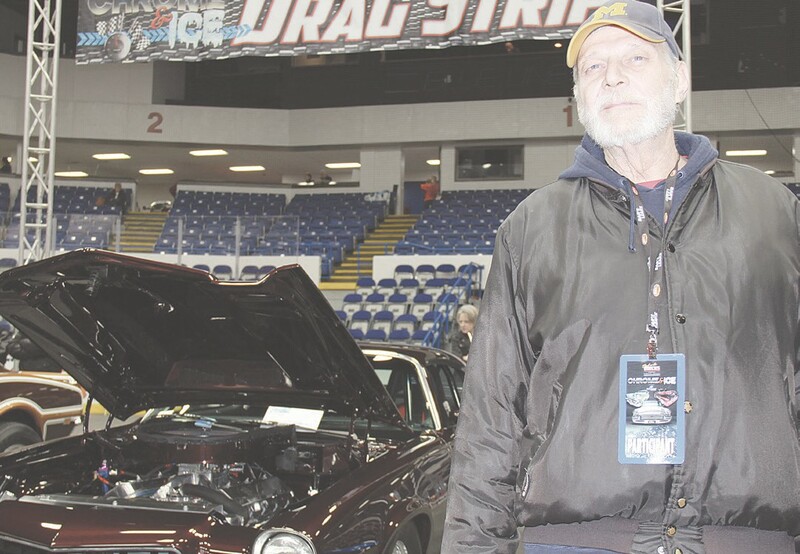 Access to the entire facility enables organizers to showcase vehicles, and a waiting list was started this year for both show cars and vendors due to an overwhelming response from the community. 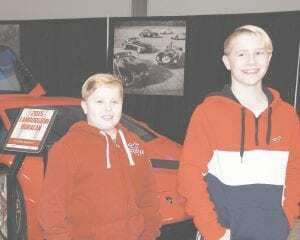 Denver Glasstetter, 11, and his brother, Dakota Glasstetter, 13, both of Grand Blanc, posed for a photo in front of a 2015 Lamborghini Huracan at Saturday’s fourth annual Chrome & Ice indoor car show. This year’s show had more than 125 classic and vintage automobiles and more than 6,000 guests. 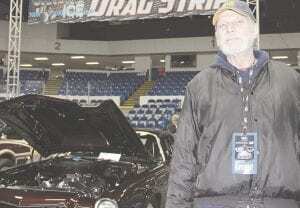 Of the registered vehicles at the show, the Top 25 cars were named after the organizing committee tallied a whopping 4,900 votes from paid guests at the event. Proceeds from this event went to support the Back to the Bricks Youth Scholarship Fund.